Our final report from the 2011 Tokyo Motor Show looks at another retro-styled concept from a Japanese manufacturer. The Yamaha Y125 Moegi is a lightweight motorcycle designed after the 1955 Yamaha YA-1. 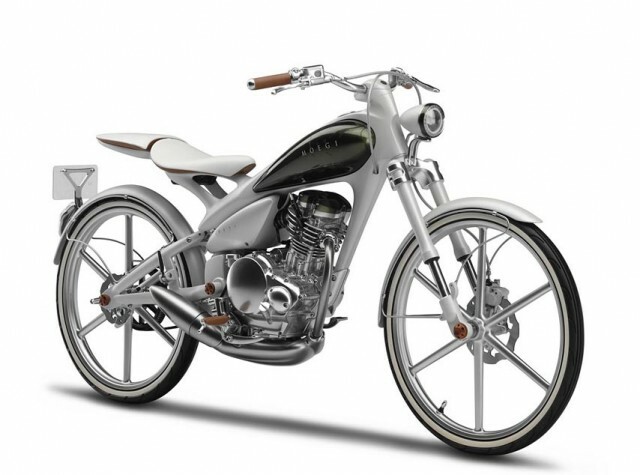 Its 125cc SOHC four-stroke single-cylinder engine gets 80 km/l, or an astounding 188 mpg. 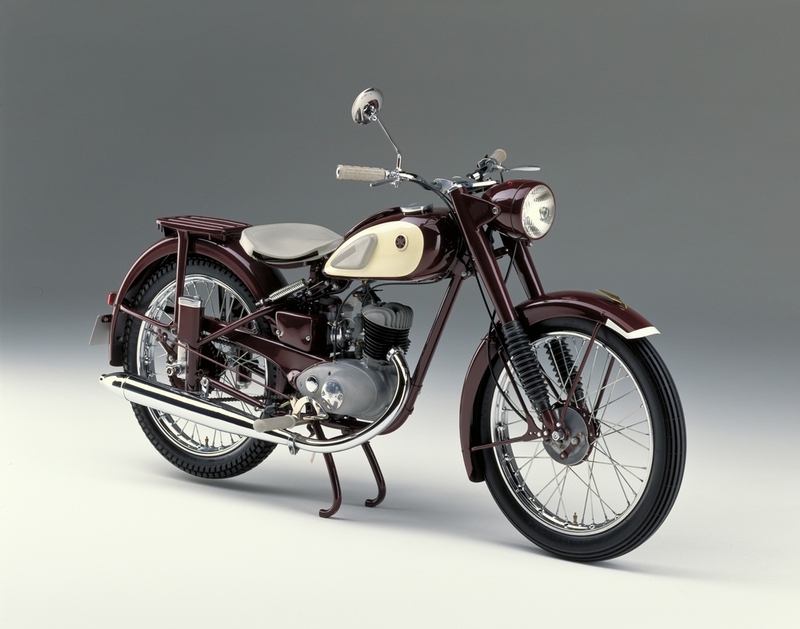 The YA-1 was Nippon Gakki‘s (later Yamaha) first motorcycle. Like the Moegi, it had a single, 125cc cylinder, albeit a two-stroke. It sold at a rate of about 200 per month and was immediately entered in the 3rd Mt. Fuji Ascent Race and the 1st Asama Highlands Race, both of which the Yamaha won. According to Classic Yams, the YA-1’s distinctive dark-red-and-white paint scheme was patterned after the chestnut coat of a horse and developed by a team from the Tokyo National University of Fine Arts and Music. It set itself apart from the typically black bikes of the day and garnered the nickname akatombo, or red dragonfly. The Moegi wasn’t coated in the iconic colors of the YA-1, it’s white finish instead giving it an air of lightness. It weights just 176 pounds, or 33 less than the YA-1. tagged: moegi, motorcycles, tokyo motor show, y125, ya-1, yamaha. The Moegi is cool in that retro sort of way, but the YA-1 is pure sweetness. I’d trade my Celica in for one anyday. I usually am not too interested in bikes but this would be a really cool commuter. Love it. The YA-1 is an amazingly pretty bike. I also like the fact that they used telescoping forks instead of the leading link suspension Honda used on their iconic Super Cub. wow that ya1 is sweeet! kidney anyone?? I saw the Moegi in Tokyo last week. It’s gorgeous, I’d love to ride it to work. Though I have to admit the YA-1 is more my style! It looks like a bike for Barbie. Horrible spindly nasty, i just dont like it. Different times, different needs. The 1955 motorbike could only seat one and it had 2 rearview mirrors. Today’s model can seat 2 but doesn’t have a single rearview mirror. Those disc brakes look wrong on this design, they should be round. But it’s the fuel economy that is the most surprising, 188 mpg is better than any 125 motorbike.